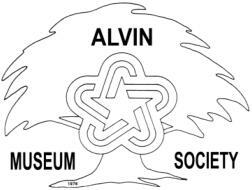 The Quarterly Meeting of the Alvin Museum Society is Sunday, February 27, 2005, at 2:00 p.m. in the West Wing of The Alvin Senior Center. Ron Mercer, chairman of Keep Alvin Beautiful, will share information on the impact the group has made so far and what it hopes to achieve in the near future. Some visuals will accompany Ron's presentation. Alvinites are fortunate to have citizens who work to make Alvin a more livable place. We will also have a business session and enjoy refreshments served by volunteers. The meeting is open to the public. Everyone is encouraged to attend and bring family and frieds.